Please choose up to 3 colours. 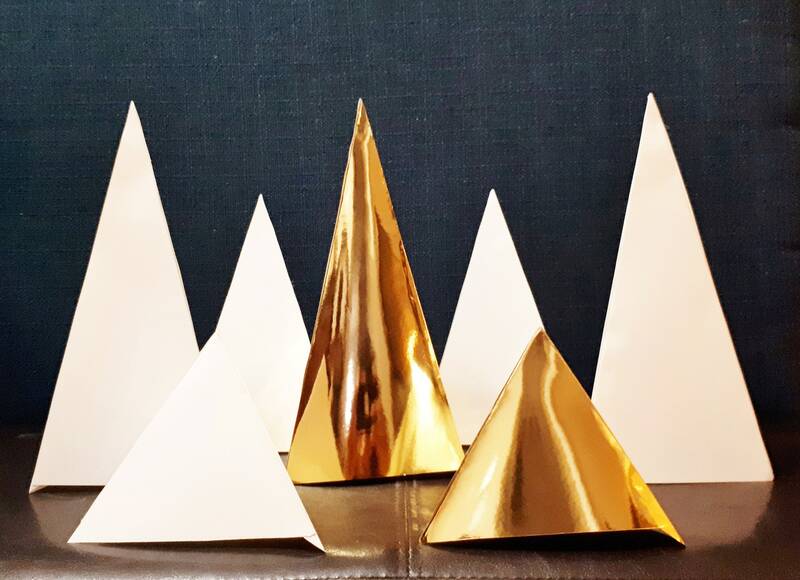 Looking for a unique centrepiece or accent decor these 3D triangles or Triangle Pyramids are a perfect and unique way to add colour to your event. Handmade complete from paper in up to 3 colours. Includes 3 sizes 5 inch, 8 inch, and 10 inch. Custom orders are always welcome! Happy Shopping!